Wambaix is a village some 10 kilometres south-south-east of Cambrai on the D142. 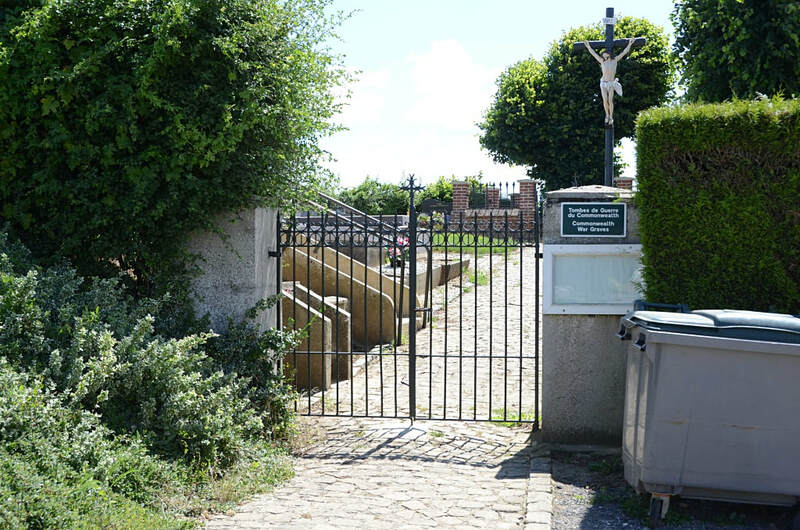 From the centre of the village, take the Rue de la Chapelle (opposite the French War Memorial in front of the mairie). 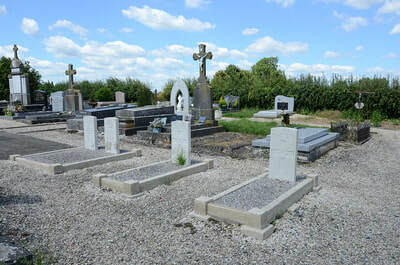 The cemetery is on the left-hand side of this road. Captain Gerald Maurice Ponsonby (Mentioned in Despatches), 2nd Bn. 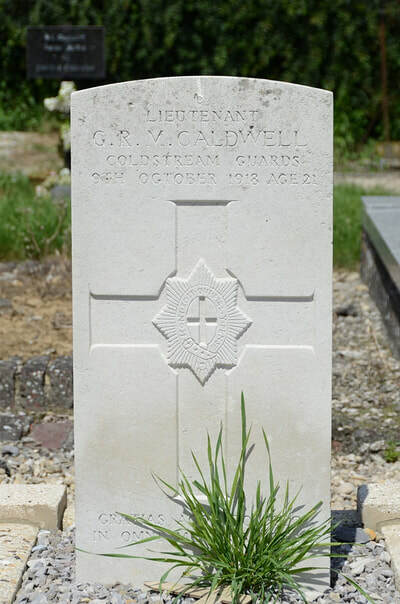 Royal Inniskilling Fusiliers, died 31st August 1914. Son of the Rev. 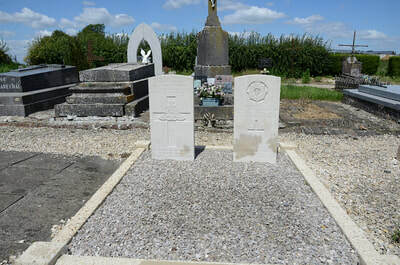 Lord de Mauley, 4th Baron, and Lady de Mauley, of Langford House, Lechlade, Glos. 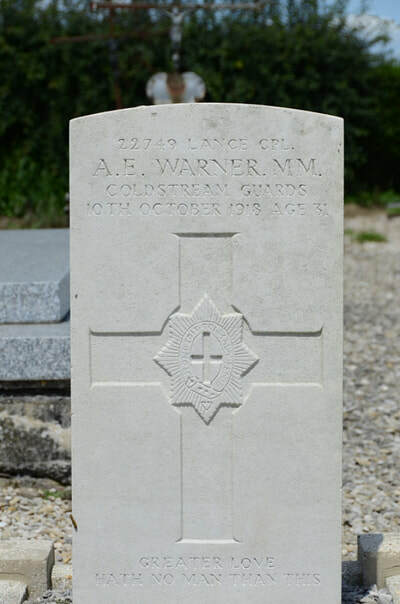 22749 Lance Corporal A. E. Warner, M. M. 2nd Bn. Coldstream Guards, died 10th October 1918, aged 31. 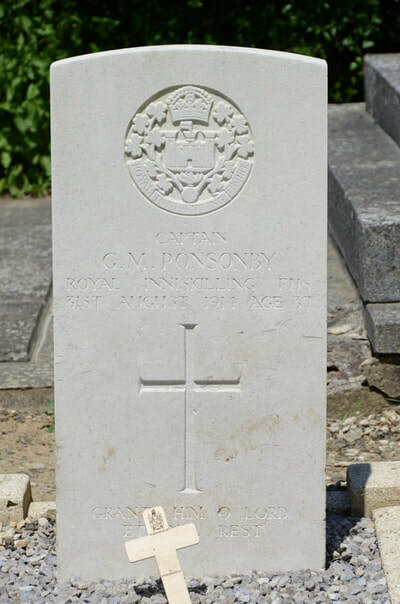 Son of George and Caroline Warner, of Denbury, Devon; husband of Dora Elizabeth Warner, of Cumberland Lodge, Windsor, Berks. 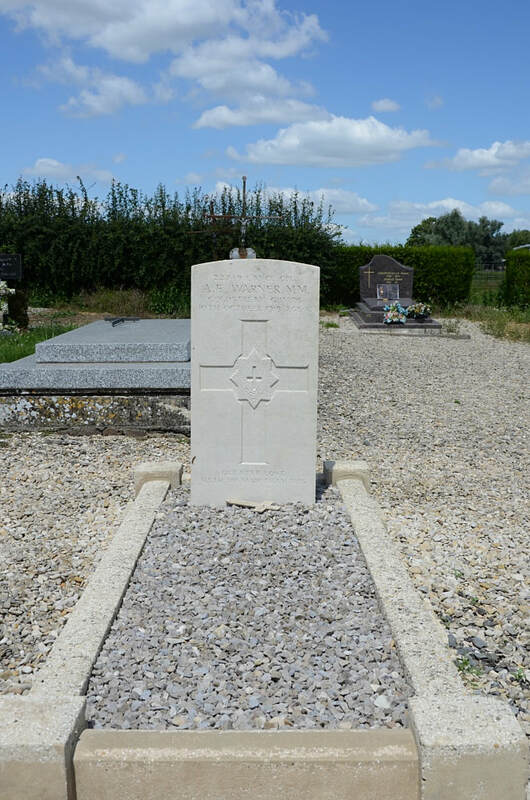 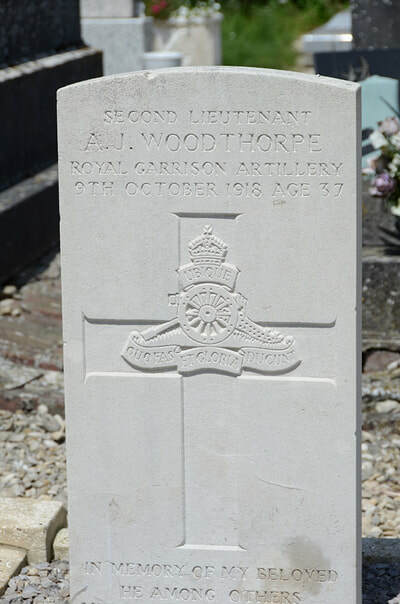 Second Lieutenant Arthur John Woodthorpe, Royal Garrison Artillery, 276th Siege Battery, died 9th October 1918, aged 37. Son of John William Woodthorpe; husband of Estella E. Woodthorpe, of 86, Trinity Rd., Upper Tooting, London. 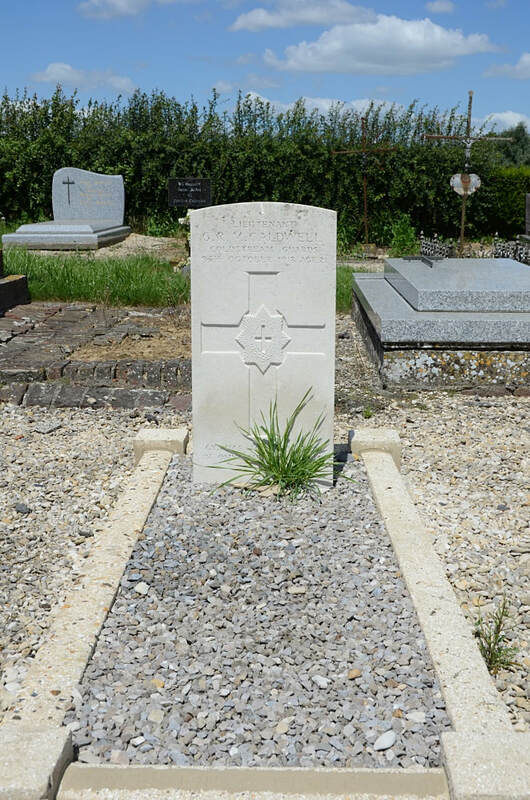 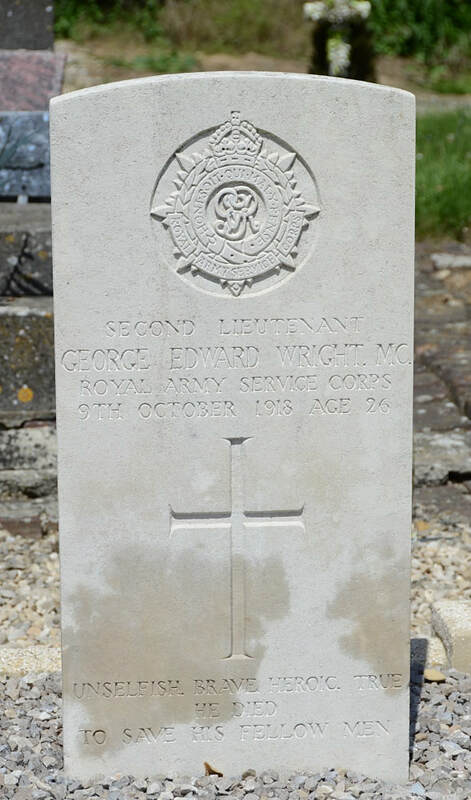 Second Lieutenant George Edward Wright, M. C. Army Service Corps, attd 276th Siege Bty Royal Garrison Artillery, died 9th October 1918, aged 26. Son of William and M. A. Wright, of 55, St. Mildred's Rd., Lee, London. 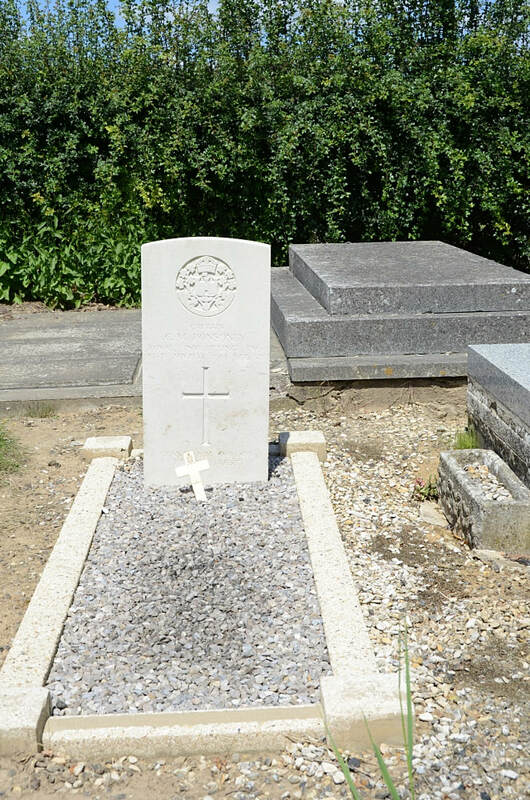 Born at West Hartlepool.